Enhance your home with durable and energy efficient vinyl siding from the family-owned and -operated home remodeling experts at Clear Choice Home Improvements. We understand that the siding system at your home makes up much of the exterior of your residence and because of this it is solely responsible for much of the energy efficiency, curb appeal, and protection against harsh weather and strong winds. If it is time to replace the siding on your home in New Hampshire or parts of Maine, Massachusetts, or Vermont, you can feel safe knowing that you’ll be making the most out of your investment by turning to us and making the Clear Choice for your Home. When you’re ready for new cladding at your home, you can’t go wrong with our signature core foam insulated vinyl siding. This unique product is available in three different styles, Comfort Plus Platinum, Comfort Plus Gold, and Comfort Plus Silver. No matter the option you select for your home, you will be granted different levels of insulation that will improve thermal efficiency and keep the temperature of your home stable throughout the entire year. The experts at Clear Choice strive live up to the high standards we have set for ourselves when it comes to delivering quality workmanship. Our team will work closely with you every step of the way and be readily available to answer any questions that may come up during the duration of your project. And, we’re so confident in the quality of our work that we offer an outstanding lifetime warranty on all siding installations. 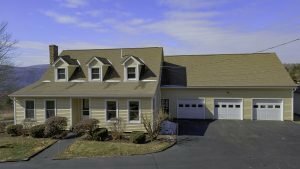 For more information about the benefits of working with Clear Choice Home Improvements for a vinyl siding installation at your home in the New England area, contact us today. Make sure to ask about the financing options available to all qualifying homeowners.